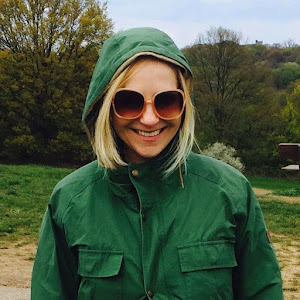 I'm not big on watching sport – though there will be some bits of the Olympics I know I'll enjoy: generally the bits that your average sports fan overlooks. 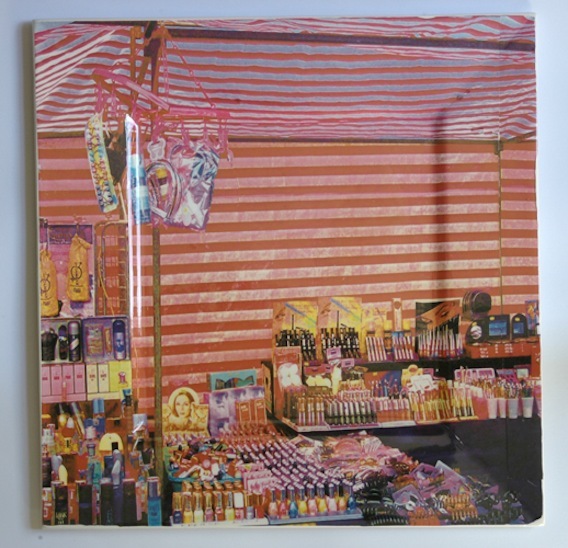 Like the gymnastics, especially that thing they do with the balls and ribbons, and the synchronised swimming. It's probably all about aesthetics (which tells you all you need to know about my prowess at competitive sports). And there's something about the symmetry of the latter that makes it so visually pleasing. 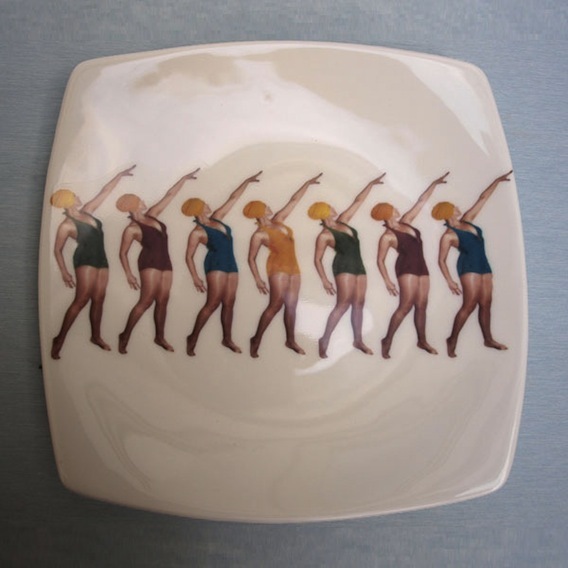 Which is just what artist, Alice Mara thought when she came up with the idea for this excellent plate after getting herself a ticket to this weird and watery Olympic event. Cavaliero Finn – purveyors of fine yet affordable art from established as well as emerging talent – are selling this alongside some of her pieces with the same theme, including a sweet milk jug, sugar pot and cup and saucer (and it's worth reading the back-story there about how the work was created with the help of a friend and a 1950s swimming hat from eBay). 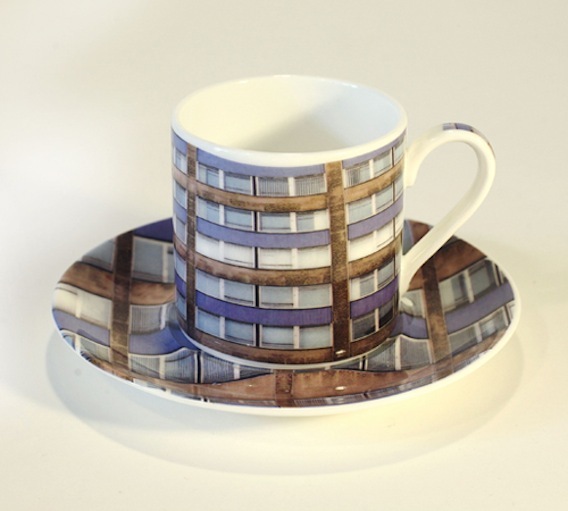 When I checked out Alice's own website I loved some of her other designs too, lots heavily influenced by her London life – she lives in Walthamstow – and inspired by the urban landscape. 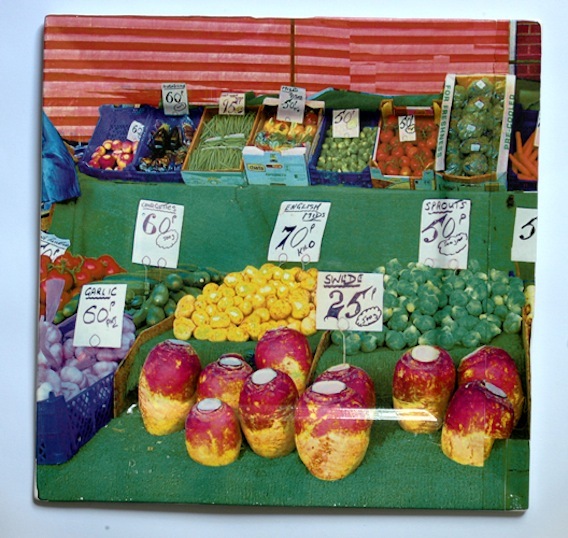 Like 'lipstick stall' plate, 'fruit and veg' plate, and my personal favourite, 'building' cup and saucer, below which, as she says herself, are "imbued with humour, colour and surrealism". 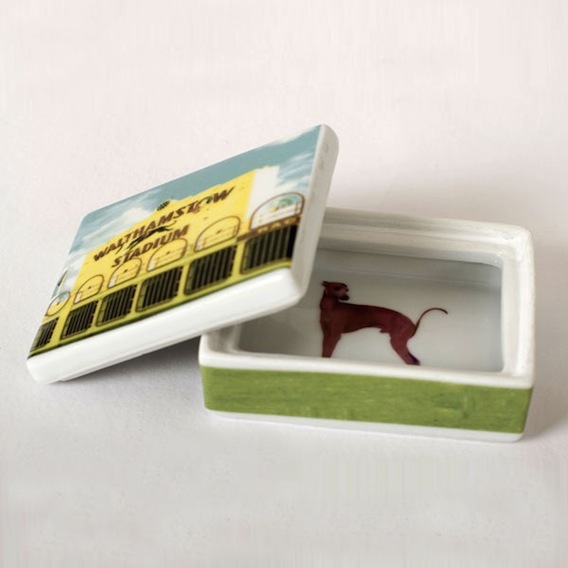 And, finally, couldn't resist this trinket box, £25, inspired by Alice's local dog track.